That’s right. My fridge is packed with lemons (and my toes are polished), because no matter sun or storm, summer starts this weekend. 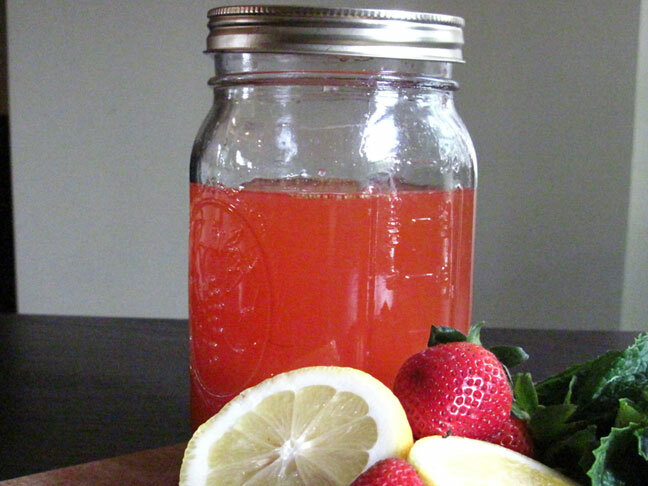 Lemonade might be the perfect summer drink. It’s tart and sweet; refreshing spiked or not; and delightful plain, infused or flavored. And let's not forget that it’s the locus of childhood commerce. I never had the chance to run my own lemonade stand and am still sour about it. Who knows—if the rain holds out, me and my freshly pedicured feet may have to make up for old times. The boys can join me, too. 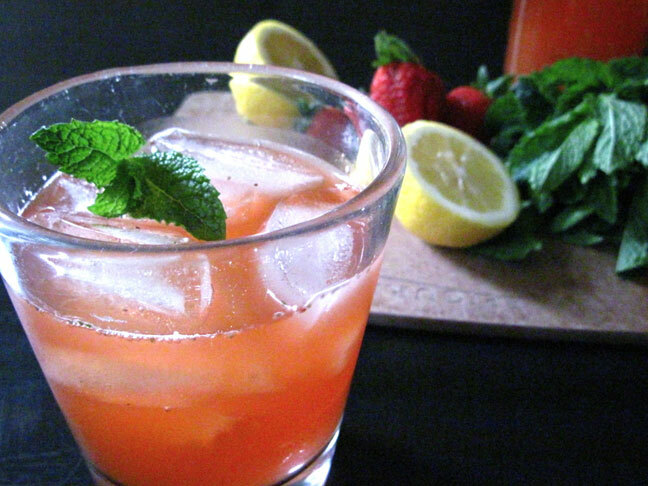 Whether or not I decide to trade sips for a nickel, I will be making at least one batch of this coral hued Strawberry Lemonade this Memorial Day weekend. If you do the same, pour yours over ice or freeze in popsicle molds. Then, either way, kick up your pretty heels and enjoy the beginning of summer fun. Or maybe go make some money. 1. Put 2 cups of water and the sugar in a pot over medium heat. Bring to a boil, stirring until all of the sugar has dissolved. Remove from heat and allow to cool. You’ll end up with about 1¾ cup simple syrup. 2. In the meantime, puree the strawberries in a blender. Strain to remove the seeds. You’ll end up with about ½ cup strawberry puree. 3. Mix together 1¼ cup simple syrup, strawberry puree and lemon juice. Taste and, if you prefer sweeter lemonade, add more syrup to taste. If you prefer tart lemonade, add the syrup slowly tasting along the way—you may find that you want to use less than 1¼ cup. (Leftover syrup can be stored covered, in the fridge for up to 3 months.) This is your strawberry lemonade concentrate. 4. Combine all of your concentrate with 2 cups of cold water, flat or sparkling. Server over ice or freeze into pops. Alternatively, if you don’t want to make a whole batch of lemonade right away, combine the concentrate with water to taste, per serving. You can always freeze the leftover concentrate for use at a later time.